* The video with the most Likes WINS. * Competition starts on the 2nd of April and ends 2nd of May. 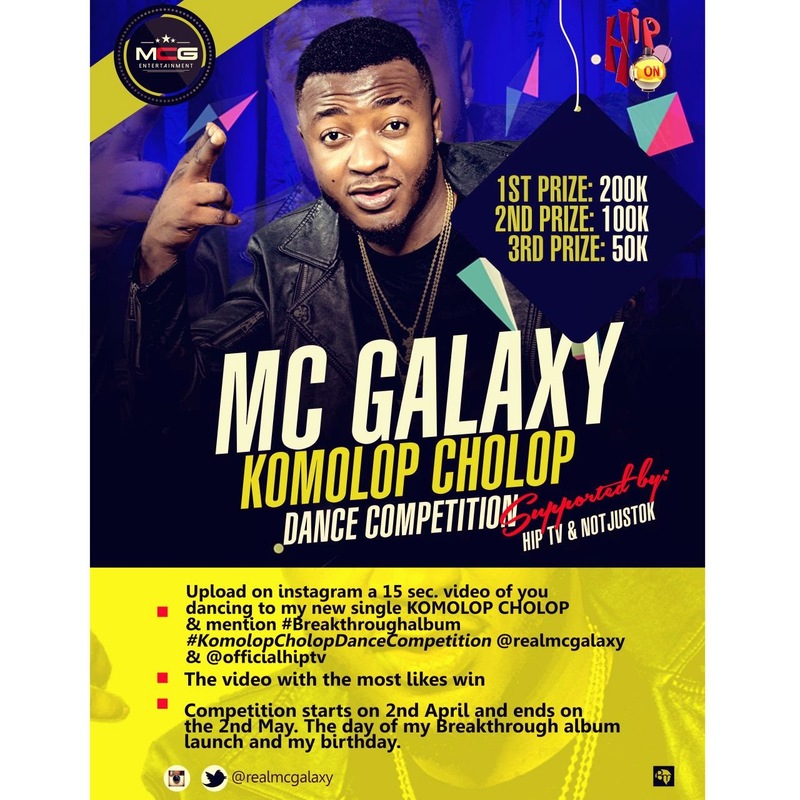 Watch Komolop Cholop promo Video for the Dance or @realmcgalaxy on instagram. The Competition is supported by Notjustok , HipTv , Bigjamz World, iblaze tv.